Why you should train on the heavy bag! 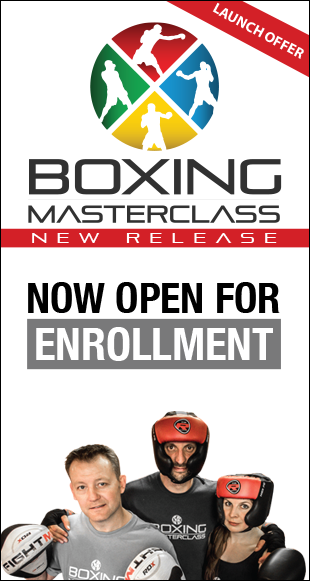 If you want to learn to box – training with a heavy bag is a great place to start. Although shadow boxing and padwork drills are essential to practice your skills – feeling your fist impacting the punch bag is the most realistic form of training. It allows you to experience the full force of your punching and provides a platform to make adjustments for power and speed. Hitting a bag will help you punch faster and harder, especially if you concentrate on using the power of your whole body. Use everything you’ve got to get the best out of your punch bag workout. – Use your core muscles to keep you stable, but keep light on your feet as you move around the bag. – Use your angles on the bag and mix up your combinations. – Start off lightly and always practice your techniques at first. – Tense your wrist as you make contact with the bag. – Never fully lock your arm out. – Aim to hit the bag for a 2-3 minute round and your endurance and strength will go through the roof. – Always wear hand wraps! And if your wrists or knuckles hurt at any time – Stop. Heavy bag training gives you a dynamic whole body workout and burns calories fast. It develops strength and endurance and gives your cardiovascular system a boost. Bag training gives you a high intensity interval workout – try hitting the bag as hard as you can for 2-3 mins and then rest for 30 seconds. HIIT benefits include reduced blood pressure, weight loss, increased VO2 max. 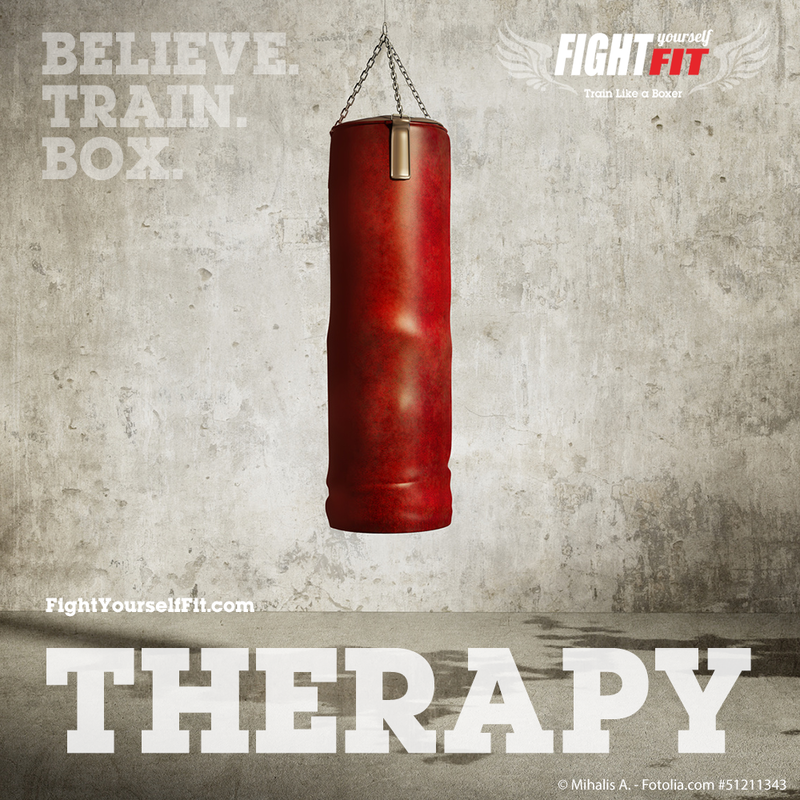 Boxing HIIT can also help to reduce your daily stresses as you leave your worries on the bag. You will also tone up your arms and shoulders and tighten your core. If you want to get fit, start with a heavy bag and you won’t look back. Hitting the bag furiously for 2-3 minutes at a time is hard work, but if you build up to this gradually you will develop true upper body strength and endurance. Endurance is the key to long term fitness. Once you reach maximum output and you feel that burn, your muscles have run out of oxygen! As you get fitter your body can keep up the oxygen supply to your muscle cells for longer – so you can keep punching. Working anaerobically (without oxygen) works for a while, but it does burn and it also creates an oxygen debt. The good news is this oxygen debt burns more calories even after you stop punching! With more training both your aerobic and anaerobic capacities increase as you get fitter and fitter. It’s all good. Repetition is the key. That is all. Keep going. If you work on the punching bag everyday – you will notice the difference. Your punches will be more powerful and you will last longer and longer. If you need guidance and think you would benefit by following a structured routine – take a look at our premium program ‘The Ultimate 60-Day Punch Bag Workout’ at Fight Yourself Fit.com. In 60-days you can start as a complete beginner and take serious steps to learning boxing using the heavy bag. The 8 workouts are all around 30 minutes – enough to push you hard whilst remaining easy to slot into your routine. Heavy bag training is an ideal way to tone up, improve your fitness and learn some real boxing skills. If your’re not quite ready for that, give this quick “ladders style” punch bag workout a go. It’s just straight punches, so ideal for beginners, and all about fitness rather than more complex techniques. Get in front of that bag and start punching! 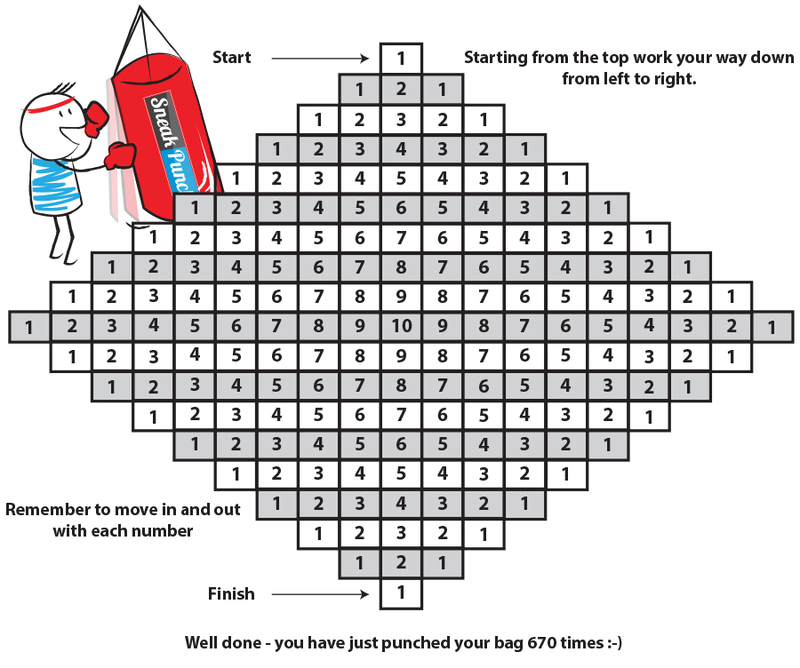 REMEMBER JUST STRAIGHT PUNCHES – The numbers in the box indicates how many times you need to hit the bag.